Via adidas, “Only the best for the athlete” – the key principle of our founder Adi Dassler. And still today, this is what is driving us at the adidas athlete services team. We work very closely with a great number of football players, and of course also athletes in other categories, to make sure we create the best possible products. The feedback we get from the players when testing our products is directly implemented into the product creation process. Besides many other skills, a profound medical and anatomical knowledge is key for our work to be able to always help our world class footballers to perform at their best…why? Make your mi Predator adidas Custom Soccer Cleats Today! Like a laser sight for your foot, the mi Predator LZ boots blend five lethal zones of predator® technology with an ultra-light upper material and geometrically designed rubber overlays for consistent ball control no matter what the pitch surface serves up. 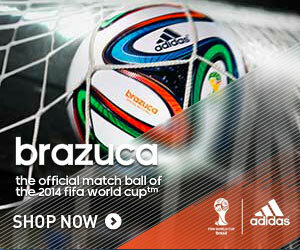 Should you need the Brazuca, official match ball of the 2014 FIFA World Cup, the link below is your online shop now ticket. Sports Techie, Be a supportive fan of your national team or teams by purchasing mi Predator cleats that can be customized with your favorite countries colors and built to perform on a specific type of field surface like turf or grass. Most orders arrive in 3-4 weeks which is in time for the start of the Rio World Cup in South America broadcast on ESPN. The technology packed testing each cleat design undergoes with adidas athletes is impressive. 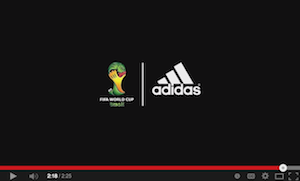 The adidas group blog video provided a terrific look behind the scenes of what goes into adidas. The pimped out body measurement metrics and medical research big data helps deliver the high-tech masterpiece footwear and apparel that is adidas soccer.